Bahco water pump pliers – a selection of Bahco slip joint pliers with outstanding jaw opening and depth – ideal for plumbers! The Bahco water pump pliers selection includes: Bahco 8223, 8224, 8225 and Bahco 8231 grips. RRP: £18.68 (+VAT). OVER 30% OFF! Bahco 2971G 250mm slip joint pliers with outstanding jaw opening and depth. With both flat and pipe-grip jaws. 2 component handles for maximum grip and comfort. Made from high-performance alloy steel. Anti-corrosion treated for extra rust protection. To ISO / DIN 8976 standard. RRP: £43.36 (+VAT). OVER 40% OFF! Bahco 8223 slip joint plier with outstanding jaw opening and depth. With both flat and pipe-grip jaws. RRP: £51.24 (+VAT). 55% OFF! RRP: £69.67 (+VAT). OVER 40% OFF! Bahco 8225 slip joint plier with outstanding jaw opening and depth. With both flat and pipe-grip jaws. 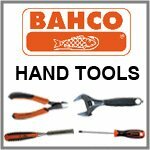 Includes the very popular Bahco 9072P adjustable wrench and Bahco 8224 water pump pliers. This is a superb value-for-money set that is perfect for the professional plumber! Precision-hardened & anti-corrosion treated, these quality tools can withstand high torque loads. With outstanding jaw opening and depth. With both flat and pipe-grip jaws. Including: adjustable spanners, socket sets, pliers & cutters & more!